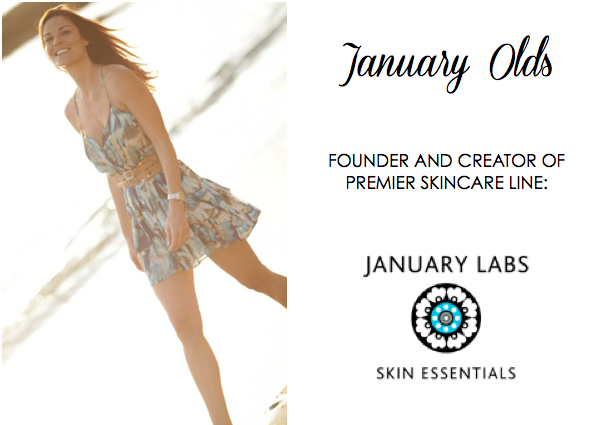 Today I am so thrilled to introduce you to the beautiful January Olds of January Labs Skin Essentials. 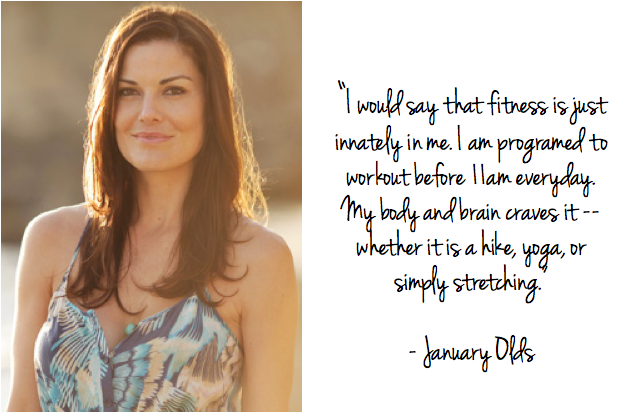 January is a dear friend, my go-to on all questions skin related, a fitness fiend and over all, truly an inspiration. Did I mention she's a major babe? Naturally, I couldn't wait to feature her as a Beach Babe to share all her beauty tips and fitness motivation with you. After all, us Beach Babes gotta take care of that skin, and who better to help us out than January? I'm completely addicted to her products as well. They prove that her method works and they've been featured in W Magazine, Shop NBC, Lucky Magazine (just to name a few). So, without further adieu.... meet January! others. However, knowing which ingredients work best together and which do not is much more obvious in food than it is in skincare. If the ingredients in food don't work well together, the food won't taste good. In skincare, if the ingredients are not harmonious, at worst there could be a skin reaction, at best no reaction – or benefit – at all. I meticulously analyze each addition to every product “recipe” to ensure that they are in the proper and most nurturing environment to perform at their highest capacity, offering unprecedented results at “fiercely” active levels not often seen in products available without a prescription. What's the biggest misperception about skin care? That it is complicated. 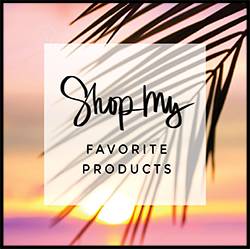 If you have a fair understanding of both good ingredients and the ones to stay away from (parabens, sulfates etc), it is easy to find brands that fit into that category. The science behind my brand is fairly complicated, but that makes it easy for the consumer. I took a lot of time making sure everything down to the packaging has an overall simplicity. What's the most important thing we can do to take care of our skin? The first and most important thing is protecting it. I am currently in the process of creating January Labs SPF. (I can't wait!) Rain or shine I recommend applying a high percent of zinc oxide (you can find it in the ingredient deck, look for anything over 12%) over your day cream. Not only does it protect against uv rays but also pollutants and dirt. Think of it as a shield. Hands down....my Glow & Go power peel exfoliant (I'm obsessed as well). It is the first step in the anti aging process and is a revolutionary way to exfoliate. It is not a scrub or a chemical peel. It virtually works from the inside out. This product can be used on all skin types and the results leave fresh, healthy, and glowing skin. It is ultimately a facial in a jar! My favorite snack is... Overly toasted sprouted wheat english muffin with a slices of heirloom tomato and avocado. Then I drizzle a little bit of olive oil, sprinkle some herbs de provence, followed with some finishing salt and voila....pure deliciousness! 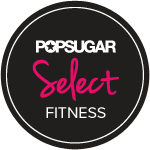 How has fitness become a part of your lifestyle? I would say that fitness is just innately in me. I am programed to workout before 11am everyday. 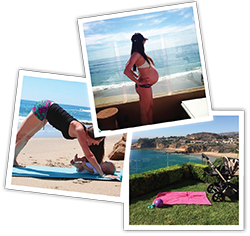 My body and brain craves it -- whether it is a hike, yoga, or simply stretching. You've got such a great bod! What's your typical workout schedule? I mix 2 days of barre classes and 3 days of boxing at a real deal boxing gym. It is by far the most intense and fun workout I have ever done. Great for the mind and body! Motivation to stay in shape?